We have Florida's West Coast Covered! 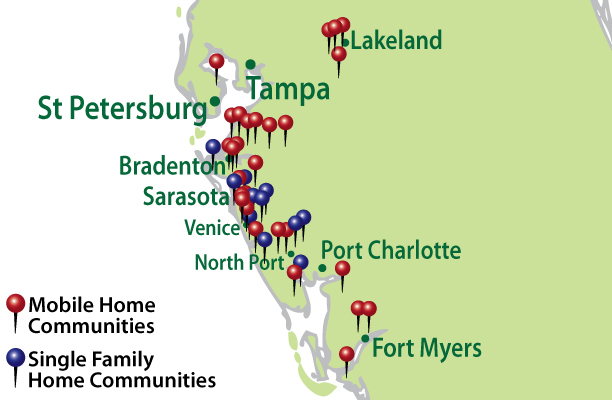 With over 40 Communities, and growing, from Lakeland to Ft. Myers Beach. We know Newsletters! Contact us today to discuss publishing your next newsletter. Please take a few minutes and get to know more about Community Media. Please browse our About Us page, meet our Staff, and see how Community Media and your community may be a perfect fit on our Community Info page. Look over our website and then give us a call... You'll be glad you did! We take pride in our publications, not only because we put our name on them, but more importantly we know every piece you send out is a reflection of your community. Our newsletters and annual directories include full color covers to get attention, increase quality, and convey the pride you have for your community. We would consider it an honor to publish your community's newsletters and directory. Please give us a call today to discuss how we can work with you on your next newsletter.